INTERkrążhas an innovative engineering and technology department, where experienced engineers use state-of-the-art technology to design all our products from A to Z. The designers use professional software for designing, modelling, simulation, and analysis of all products included in INTERkrąż brand offer. 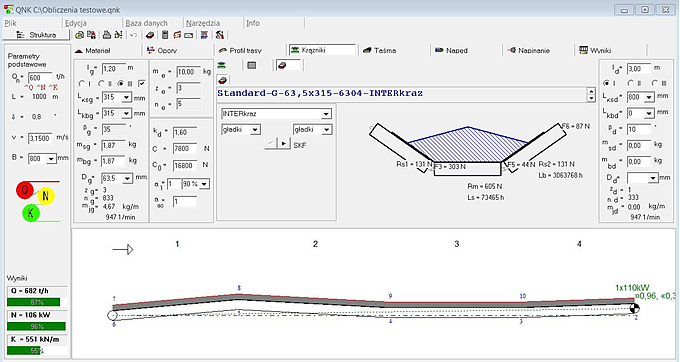 One of the basic tools used by our designers is the QNK software according to DIN 22101, used for the basic calculation of conveyor motion resistance, and its extended version QNK-TT, enriched with TASMTEST module, which allows for calculation of motion resistance and durability independently for the individual sets of rollers, drums, material feeding points, and cleaning equipment. Our software allows for quick calculation of motion resistance, drive power, belt forces, and belt strength for the belt conveyor. The software assures the possibility to calculate the motion resistance for conveyors of variable inclination angle with front drive, return drive, and intermediate drives. A useful tool in our work is also the DynaBelt software, which is a solid element supporting the design process of belt conveyors. 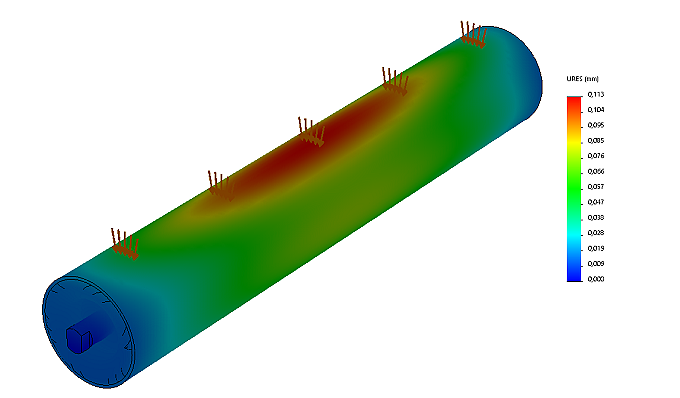 DynaBelt allows to analyze the results of simulation tests carried out on a discrete conveyor model from both the dynamic and static angle.